Origami Crane Workshop in Carmel this Saturday! We are hosting our FIRST workshop of the year at Silver in the City Carmel this Saturday during the Carmel Art and Design Districts 2nd Saturday Gallery Walk! 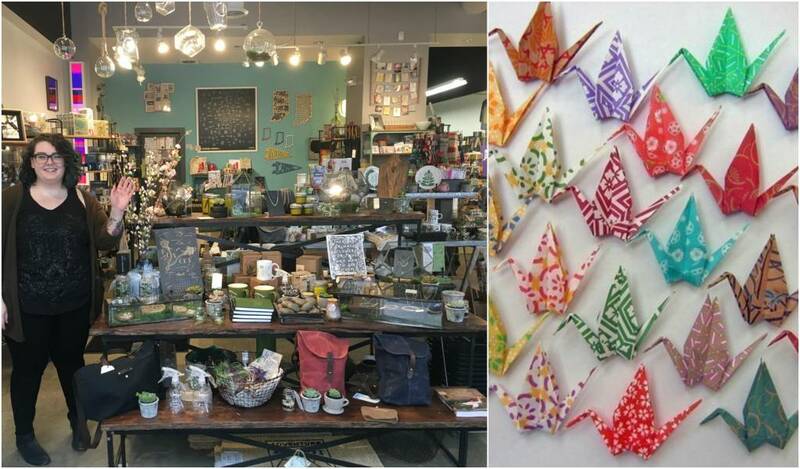 Hit up our shop from 5-9pm on April 8th for an Origami Crane Workshop! We will be providing all the pretty papers, the lessons and the fun. Once done, all the sweet lil' paper cranes you make will be turned into a permanent in-store display, so your work can be part of our magical store environment to be enjoyed by many! Here's hoping we see you guys on Saturday!